By the time I was sixteen I was playing guitar eight or ten hours a day. 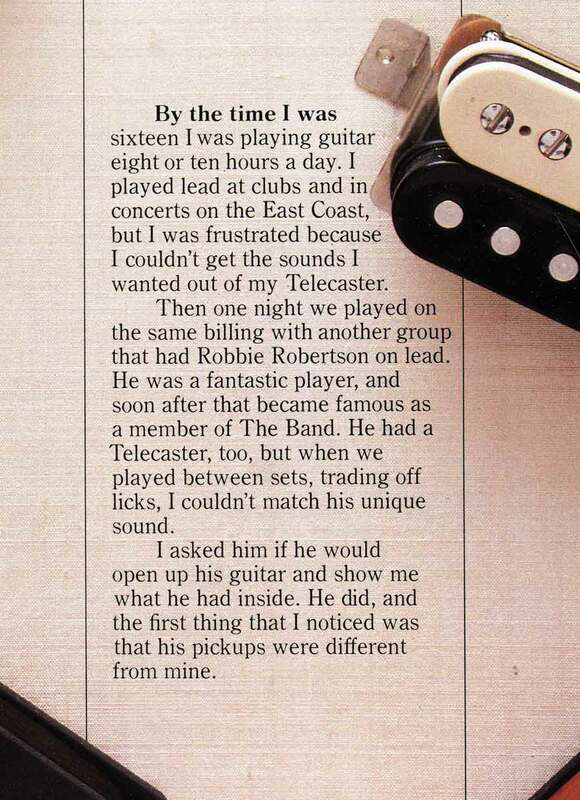 I played lead at clubs and in concerts on the East Coast, but I was frustrated because I couldn't get the sounds I wanted out of my Telecaster. Then one night we played on the same billing with another group that had Robbie Robertson on lead. He was a fantastic player, and soon after that became famous as a member of The Band. 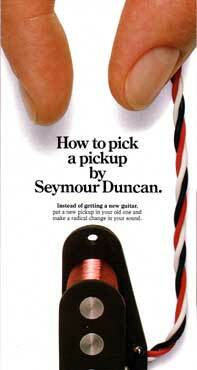 He had a Telecaster, too, but when we played between sets, trading off licks, I couldn't match his unique sound. I asked him if he would open up his guitar and show me what he had inside. 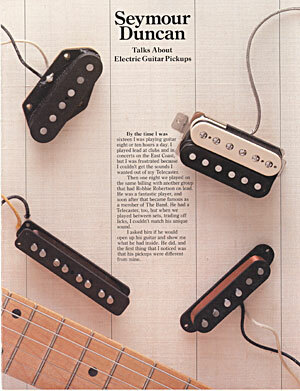 He did, and the first thing that I noticed was that his pickups were different from mine. 12-page product catalog, 8.5" x 11"